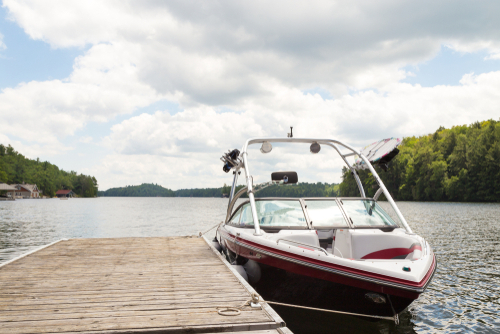 Although many states still do not require a license to operate a recreational watercraft, don’t let that fool you into thinking insurance must not be necessary either. Not every state requires insurance, but operating a watercraft carries many of the same risks that are attendant when you operate a vehicle on the land, plus a few others. If you have a homeowner’s policy, you may already have some coverage for your boat. For example, a standard policy typically will pay up to $1,000 for any damage to your boat sustained while it is stored at your house. And the liability coverage in a homeowner’s policy may provide limited protection if you injure others by your negligent operation of a watercraft. Yacht polices are similar to boat policies, but the coverage may instead be called “hull insurance” and “property and indemnity coverage.” Because yachts may be operated offshore and can reach places which are far more dangerous than the inland waters where smaller watercraft typically operate, some polices will limit the territory where a yacht can be sailed. If a yacht is berthed in a place where winter weather is severe, there may be limitations on the time of year it can be used, as well. If the area is at risk for hurricanes, optional coverage can be purchased to pay for hauling the boat out of the water if a hurricane is approaching, and refloating it afterward. Because if their speed and maneuverability, PWC present a greater risk than other recreational watercraft and account for a disproportionate number of accidents. Although some companies won’t write a policy for a PWC, some companies are beginning to specialize in this type of watercraft because of its growing popularity.